Congratulations to Wojtek Duszynski, EMS Technician of the Quarter and Ian McLoughlin top Salesperson, receiving awards from John Cahill, MD, at the EMS Head Office recently. The EMS team enjoyed a tasty lunch to help our colleagues celebrate their achievements. 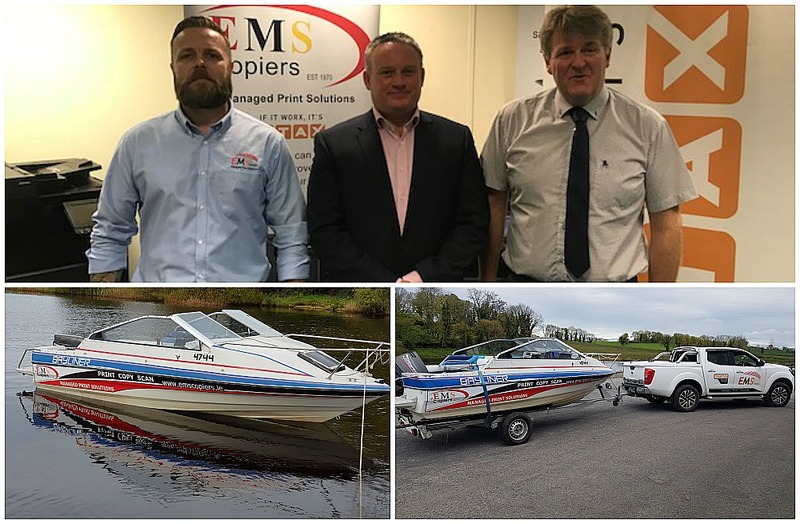 Also pictured below is the newly refurbished EMS boat! Keep your eyes peeled for the EMS jet – then we really will able to reach our customers by land, air and sea!